Before they were enemies, Google and Uber were more than friends. Google was a big early investor in Uber. Kalanick described his early relationship with Google founder Larry Page as little brother/big brother. And then he discussed how it disintegrated as Google started to compete with Uber. Uber’s former CEO Travis Kalanick took the stand this week in San Francisco to defend Uber in a lawsuit brought by Waymo. Waymo, the self-driving car startup spun out of Google parent Alphabet, is suing Uber, alleging Uber stole its trade secrets. Uber contends it did not steal those trade secrets. In some ways, this trial is like an ugly Silicon Valley divorce. Google was actually one of Uber’s early big investors. Back in 2013, Google Ventures invested $US258 million into Uber, which was its largest investment to date. Google senior vice president David Drummond also joined Uber’s board. “We got an investment from Google. 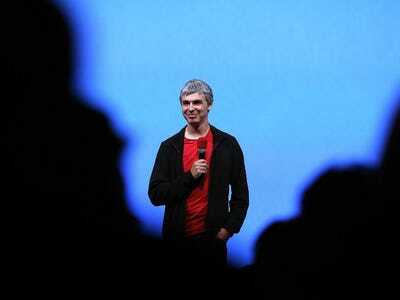 I was meeting with Larry Page. They picked me up in a self-driving car and I was like, ‘that’s pretty cool,'” Kalanick testified, according to the live tweets from the trial by Recode’s Johana Bhuiyan‏. “The general understanding is Google is doing this self driving thing. Uber is doing this ride share thing. Maybe we can partner up,” Kalanick testified. In those days, Kalanick looked up to Page and Drummond, he said. But then Google grew increasingly interested in launching its own Uber competitor. Kalanick grew worried about Google’s plans when its star self-driving engineer Chris Urmson was openly talking about creating a self-driving robot taxi fleet at the Detroit auto show in January 2015. Kalanick asked Drummond to set up a meeting with Larry Page about it, according to emails shared at the trial. Meanwhile, Kalanick wasn’t waiting for that meeting. Uber had gone on a hiring binge of robotics engineers from Carnegie Mellon University. By August 2016, with the Waze carpooling service expanding in the Bay Area and Uber going fully into developing self-driving cars, Drummond left Uber’s board, citing increasing conflicts of interest. Later that month, Uber bought the self-driving truck startup of former star Google self-driving engineer Anthony Levandowski. Shortly after that, Waymo sued Uber. Fast forward to the middle of 2017 and this lawsuit was one of the major reasons Kalanick lost his job as CEO of Uber last year, according to Benchmark, the investor that orchestrated his ousting.